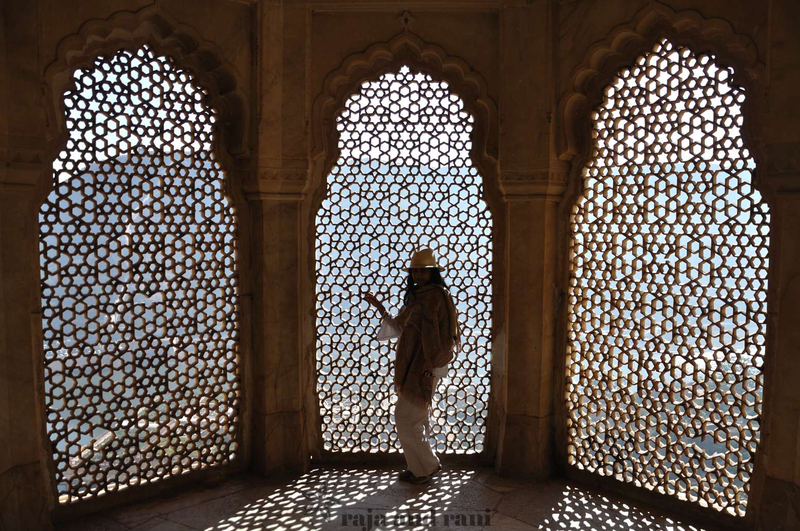 After an early breakfast, we headed 11kms out of Jaipur for some more sightseeing and inspiration at Amber Fort. (This trip can’t be all work you know!) 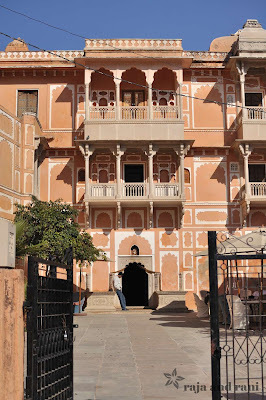 This magnificent fort is more of a palace, built from red sandstone and white marble. This really is a magical place. 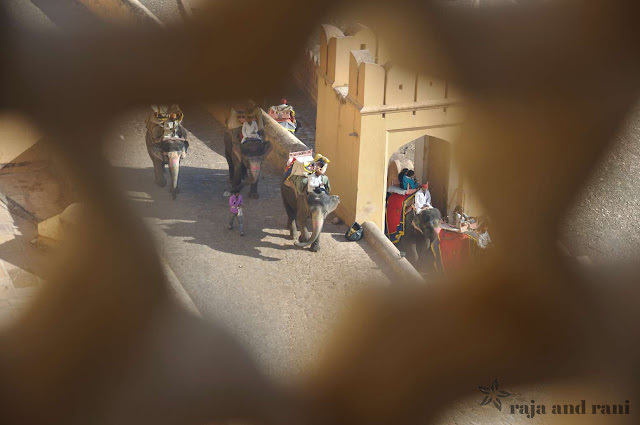 When I saw the elephants trailing up the steep hill with tourists on their backs I instantly got transported back to the time when the maharaja’s themselves would have made this journey with their royal entourage in tow. I, however, saved the elephants from my weight and chose to walk up the hill instead! The outer appearance of the Fort, is quite rough and craggy but inside it something completely different. The fort has a total of four sections, each of them with separate premises. The main gate of the fort is known as Surajpol and it leads to Jaleb Chowk (Main Courtyard). 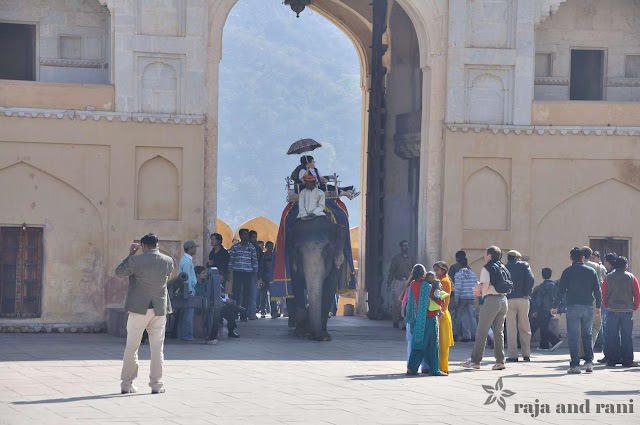 The chowk is the main courtyard providing the entrance to the stairway that leads to the palace. 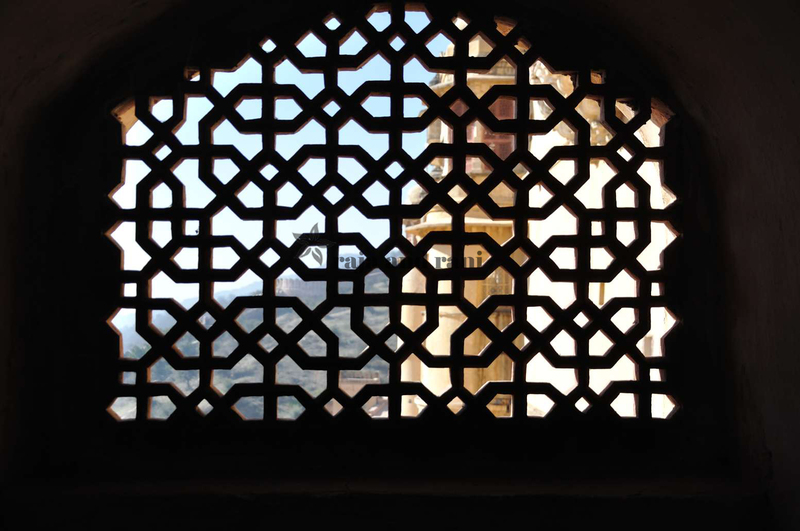 Returning armies would display their war booty in Jaleb Chowk whilst whilst women of the royal court would view from the lattice windows. 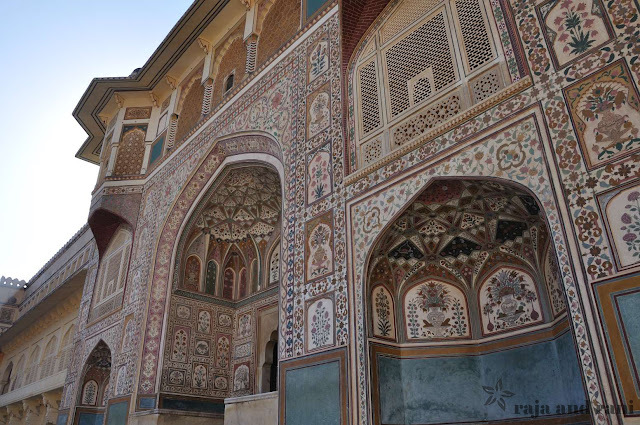 The stunning decoration of Amber Fort is influenced by both Hindu and Muslim style. 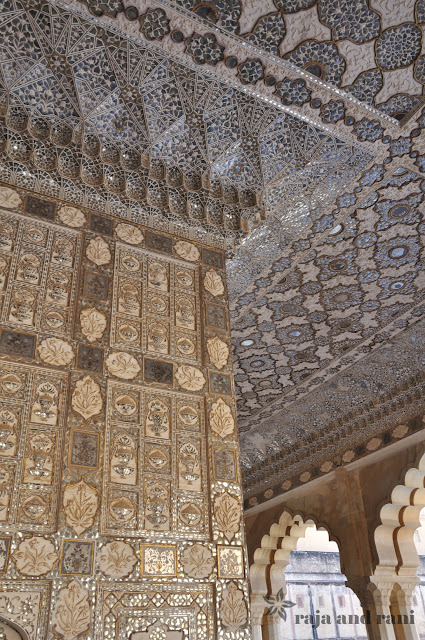 The intricate carvings on the walls and ceilings are simply astonishing! Jai Mandir (The Hall of Victory) has a stunning ceiling comprised of mirror work and an inlaid panel. 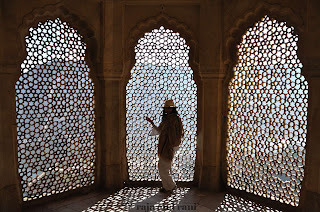 One of the most striking parts of the fort is the Sheesh Mahal (Hall of Mirrors). 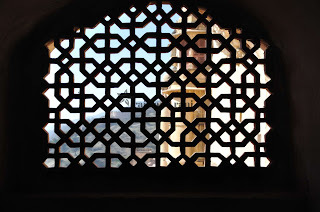 Tour guides tell visitors that when the palace was occupied by royalty, the hall could be lit at night by a single candle because of all the tiny, intricate mirrors and shone brightly like stars. 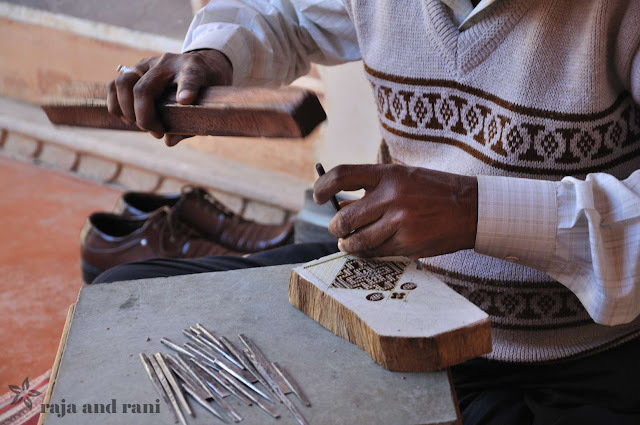 The start of the afternoon was spent at the Anokhi Museum of Handprinting in the small quaint village of Amber. 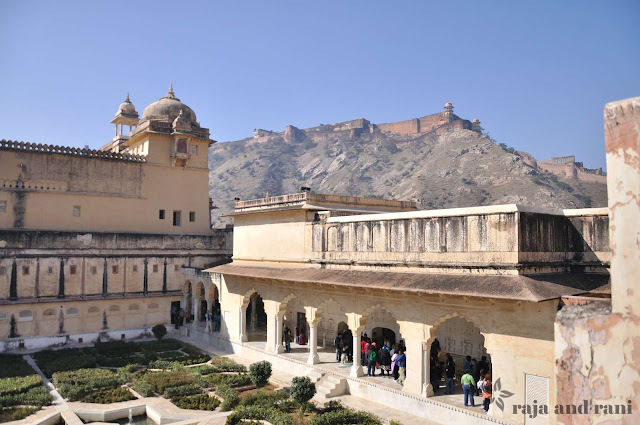 This heritage museum near the Amber Fort complex was opened in 2005 by the Anokhi company. 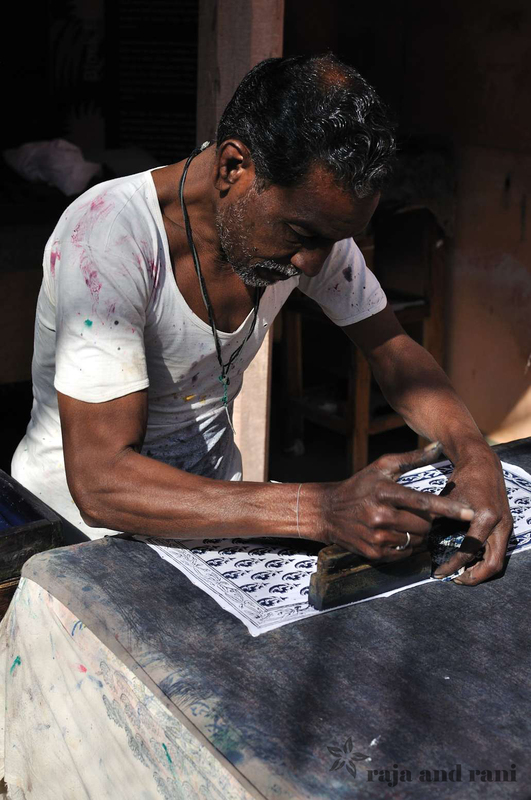 Their aim was to help revive the local hand block printing industry by supporting artisans and their families in producing block printed garments and products. 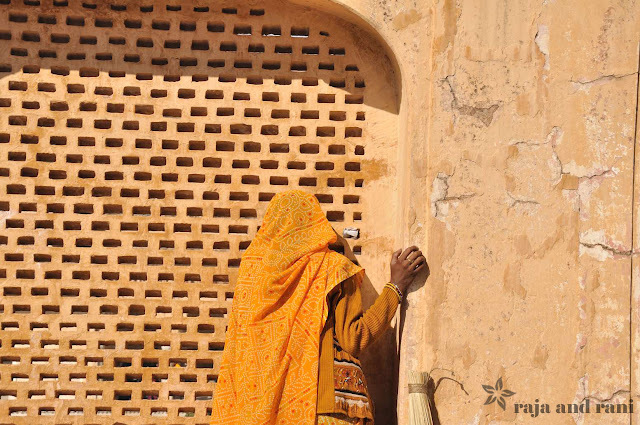 The museum, which is situated in a restored 400 year old haveli, has 3 floors of well kept displays, interesting information on the preservation and interpretation of printed textiles, as well as regular exhibitions by contemporary designers. 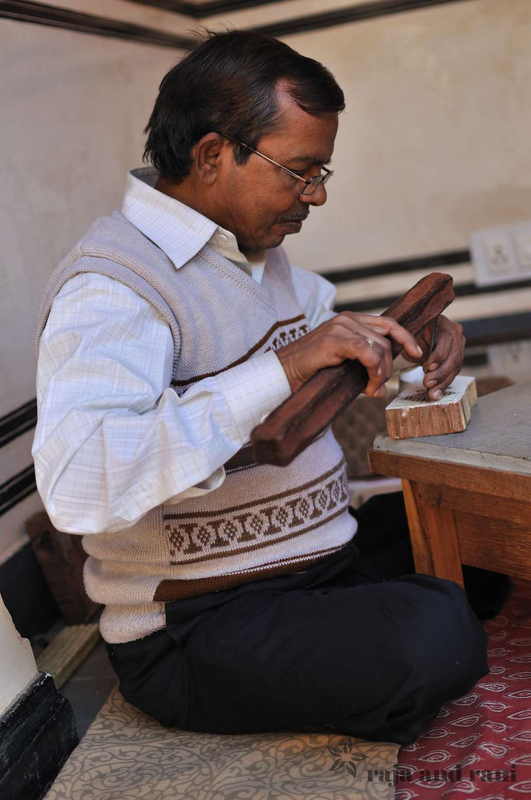 Best of all was the block carving and printing demonstrations – I had a go myself and thoroughly enjoyed it!